Grew Up... different. Unlike his fellow rats, Remy has a gift: an advanced sense of taste and smell which lead to a passion for food. While the rest of his family are content to eat garbage, Remy dreams of foie gras and brie cheese. Unfortunately, his talents aren't appreciated by his father, Django, who quickly puts Remy's unique talents to use – by making Remy sniff out poison. Interests… food. For Remy, food is not just fuel, but a gift that has the ability to stir powerful emotions. Relationship Status… single. At the moment, Remy's too busy trying to survive to think about romance. Besides, even if he were interested, it'd be hard to find a fellow rat with a similarly keen appreciation of food. Challenge… becoming a cook. Remy is greatly inspired by the late great chef Auguste Gusteau and takes to heart Gusteau's motto, “anyone can cook.” But in spite of Remy's talent, rats are hardly welcome in most restaurants, much less a fancy establishment such as Gusteau’s. Through a little trickery, Remy is able to help Linguini cook, but Remy's DNA means he must stay in the shadows while Linguini's reputation soars. Personality… idealistic, clever, and determined. Despite the obstacles, Remy demonstrates over and over again that he is willing to put his life on the line if it means getting closer to fulfilling his dream. Although he can be impatient with his family (especially his father), Remy cares deeply for his relatives and ultimately wishes to share his appreciation for fine cuisine with them. Remy's popularity ranking on CharacTour is #940 out of 5,000+ characters. See our top-ranked characters and read their profiles. 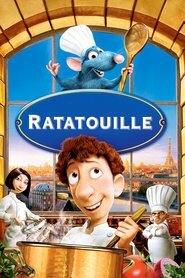 In one of Paris' finest restaurants, Remy, a determined young rat, dreams of becoming a renowned French chef. Torn between his family's wishes and his true calling. Remy and his pal Linguini set in motion a hilarious chain of events that turns the City of Lights upside down.